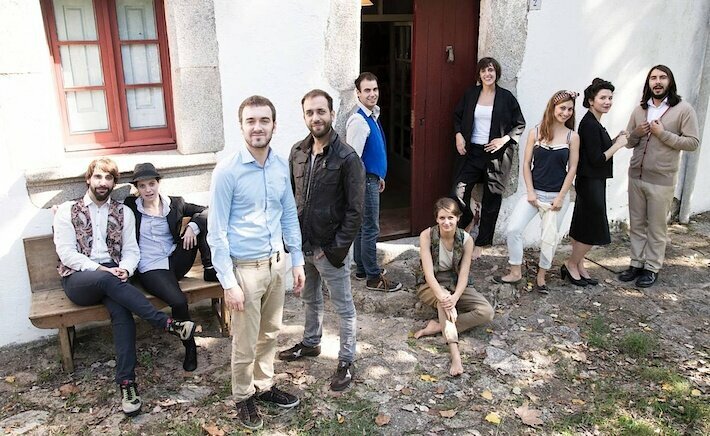 The young Catalan director Adrià Aubert has assembled an even younger troupe of actors, musicians and artists of various theatre disciplines who have been causing a sensation for years. 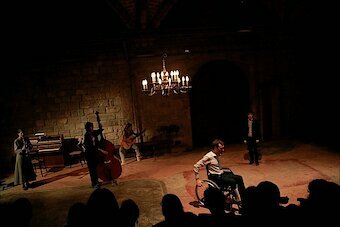 In 2006, they already starred in a production by the Catalan author Joan Brossa in Bochum and in Dusseldorf. 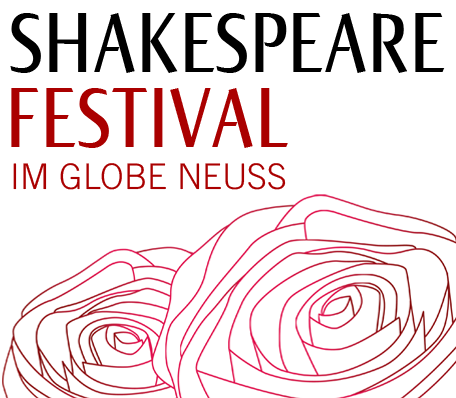 On this occasion, we are pleased to present Shakespeare's “Twelfth Night“ as a brand-new production, commissioned by Festival Shakespeare Barcelona, marvellously presented and a perfect musical score by nine actors who, with much verve and jovial vigour, once again act out Shakespeare's most superb comedy. 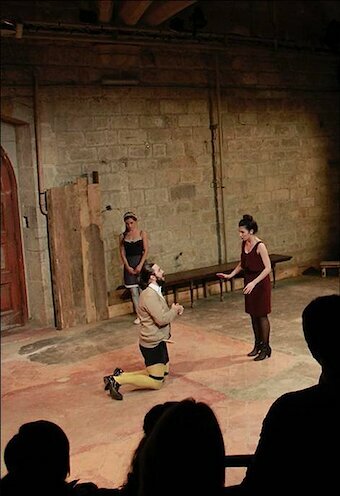 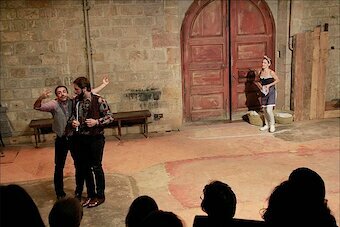 Orsino, Olivia, Sir Toby and Malvolio in Catalan- everything is possible!